Stick to your New Year Resolutions with help from the American Diabetes Association! Our set of New Year Resolution Essentials is perfect for helping you continue down the path of better diabetes management. Your First Year with Diabetes: What to Do, Month by Month by Theresa Garnero, APRN, BC-ADM, MSN, CDE, is a detailed guide for the recently diagnosed as well as those who are trying to learn to better manage their diabetes. It offers information on the latest meters and medication; guidelines for healthy eating; simple tricks for getting more exercise; and more. Healthy Calendar Diabetic Cooking, 2nd edition by Jennifer Lamplough and Lara Rondinelli-Hamilton is full of a recipe for every day of the year - literally! Filled with meal plans and tips to better nutrition, this cookbook will have you eating healthier and enjoying a variety of delicious foods. 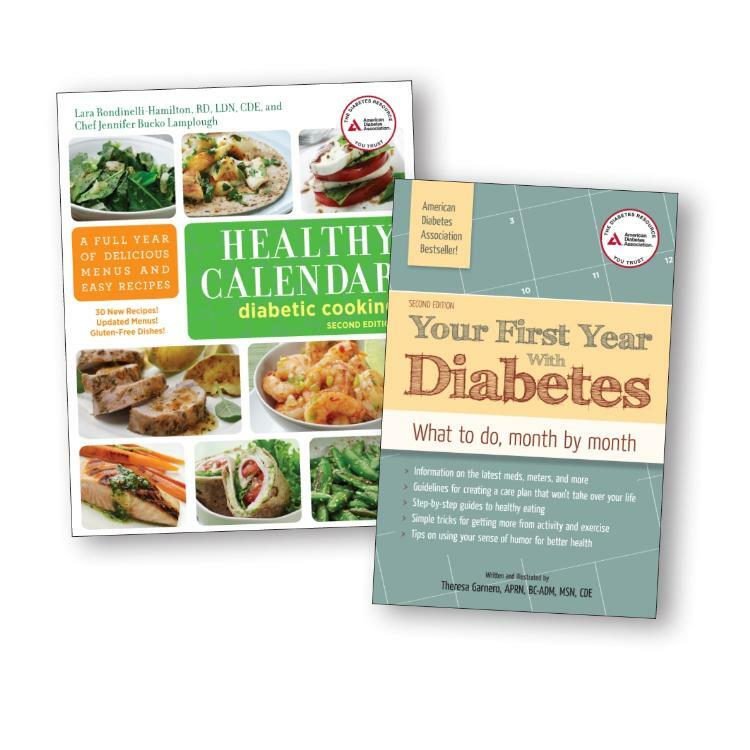 Both books are organized by periods of time, with Your First Year with Diabetes providing steps to understanding and managing your diabetes diagnosis by week or month and Healthy Calendar Diabetic Cooking offering a month-by-month meal planning guide with recipes. They are the perfect tools to keep you on track from January through December.